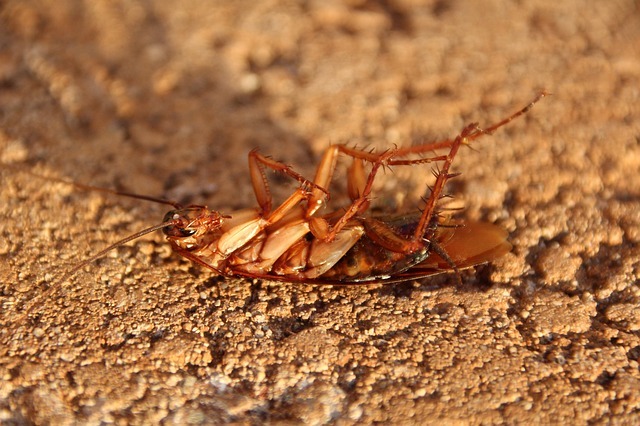 Have you ever wondered why roaches die on their back? There are various reasons as such to provide the details. After the reaction of your roach killers, you would have often seen that roaches turn upside down in most of the situations. You will be wondering is it the same for all the cockroaches to die in the similar position mostly. Now, taking it further in this article we would discuss why this happens. Why Do Cockroaches Die Upside Down? After the death of this insect, there’s less chance of bacteria. But, you will be wondering why they die upside down. Dying or dead insects have a similar pose i.e. lying on the back, legs sticking up in the air. This is actually a symptom of the bug’s decreased coordination and their failing nervous system. Normally, if a bug is knocked out on his back, it can use its legs to rock on sides till it rights itself. If, however, the bug won’t roll back onto its abdomen, it’s because it has become weak or because its nervous system isn’t functioning properly. It will remain stuck on its back. Because the bug won’t be able to get any nutrients and protect himself from the predators or the elements when it’s not in this position, it soon dies if he can’t flip over. When a cockroach dies of old age, it’s high center of gravity gives it a pull back on the floor, and the weakened muscles and rounded back prevent it from righting itself, particularly on smooth surfaces. Do All Roach Species Die on their Back? As there are different types of roaches worldwide, it’s difficult to capture all of them. So, it can be said that almost all the roach species die on their back, but, there is no scientific proof for this. Boric acid: It is one of the most effective and efficient repellents to be used against roaches. Baking soda: It works best when mixed with sugar or honey. Peppermint Oil can also be used to repel roaches away from your house. You can also read this short about peppermint oil as a roach repellent for more information. Bay Leaves are also considered a good repellent for them. Read this article to get a clear information about bay leaves and cockroaches. These methods can be used to repel and kill the roaches and make your environment a clean and healthy place to live. But, if there’s a serious infestation in your house you need to professional help. Then you can continue the above steps in order to provide a proper, safe and healthy environment in the surroundings. It can be said that almost cockroaches die on their back. But, there’s no proper result or answer to this question. In the end, it can be concluded that there are various kinds of cockroaches in the world, so, there’s no scientific or proven method to conclude that whether roaches die on their back or not. Hence, it can be said most of the species of roaches which have been observed and scientifically tested give a scenario that most of the roaches die on their back.